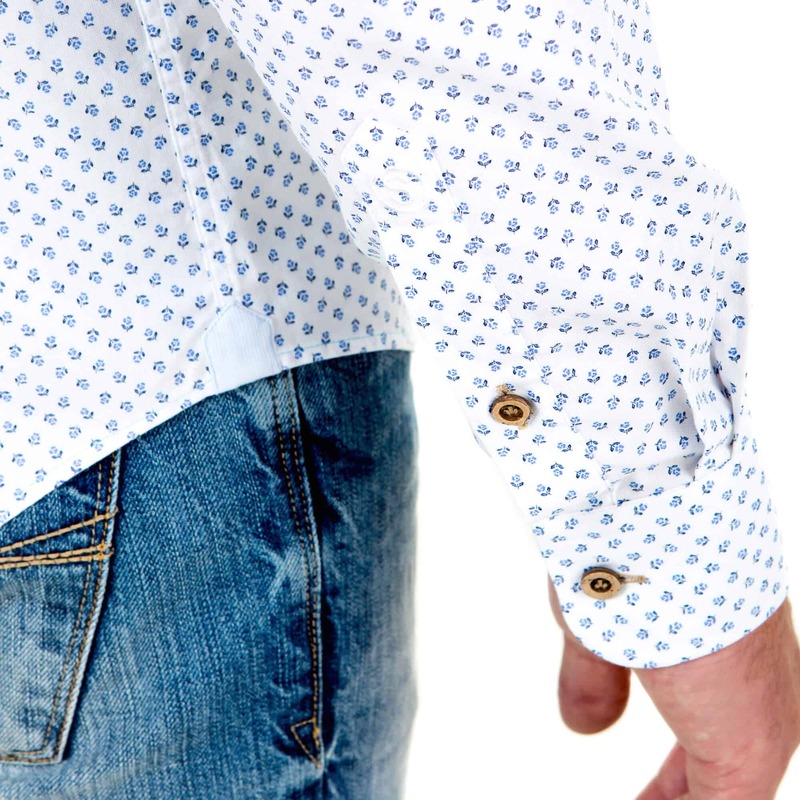 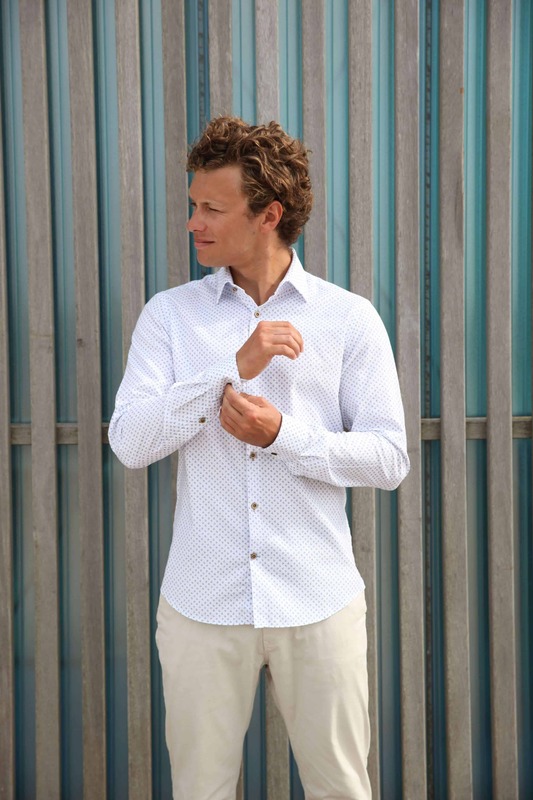 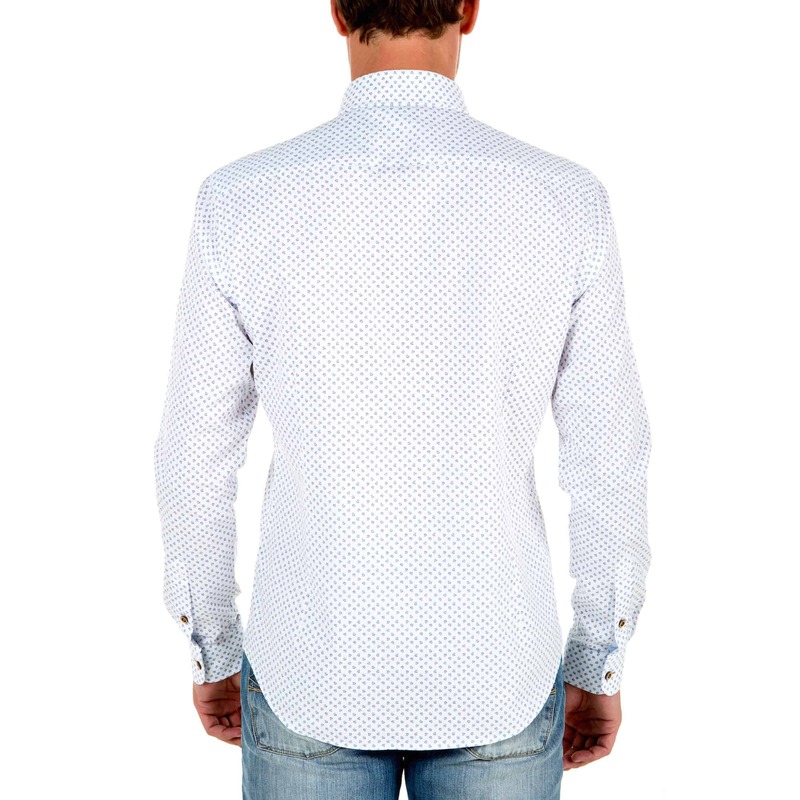 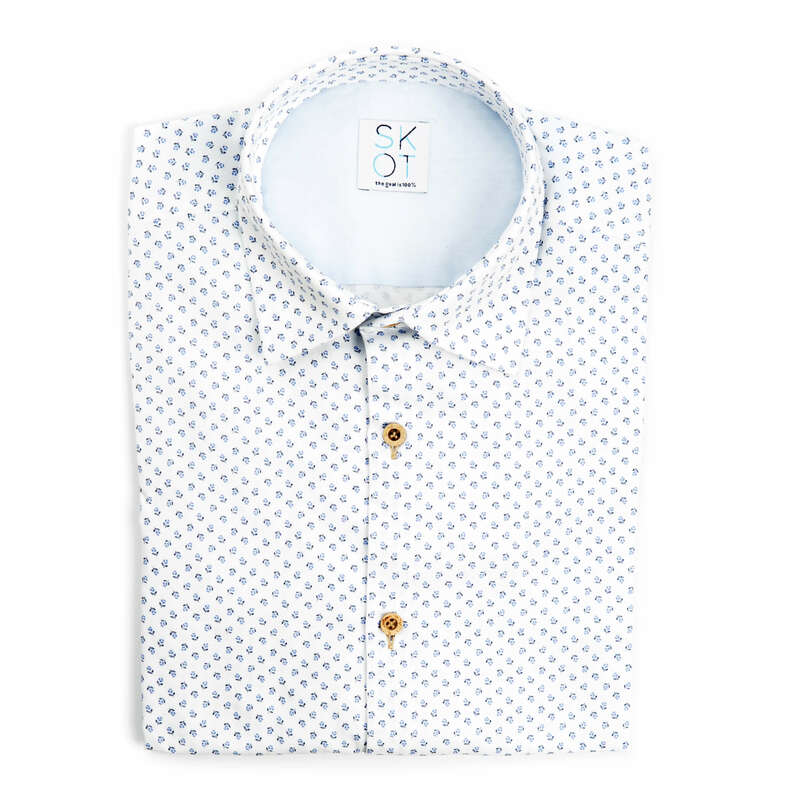 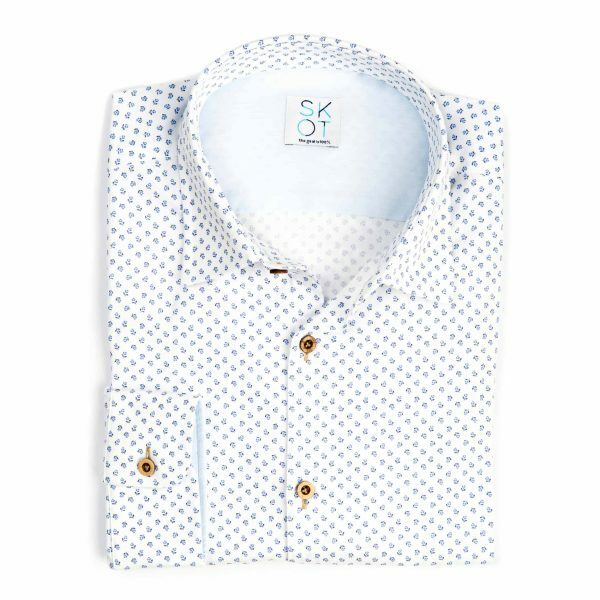 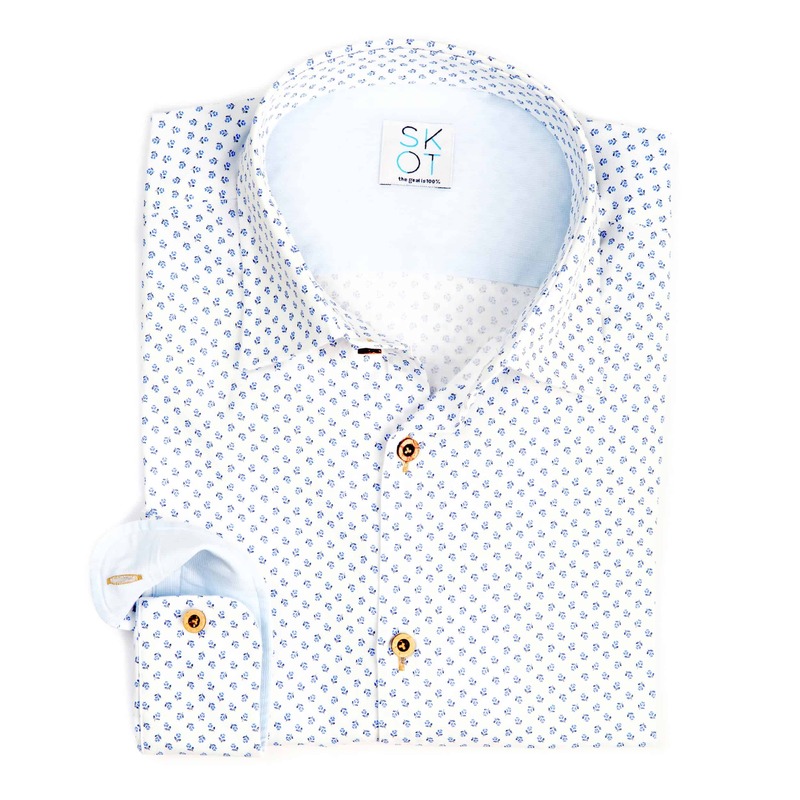 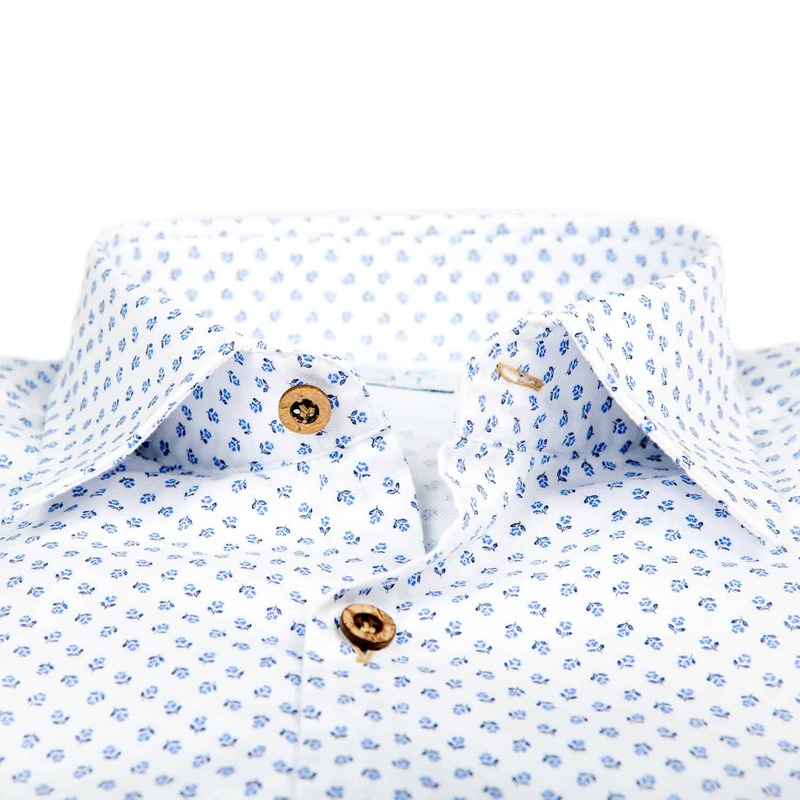 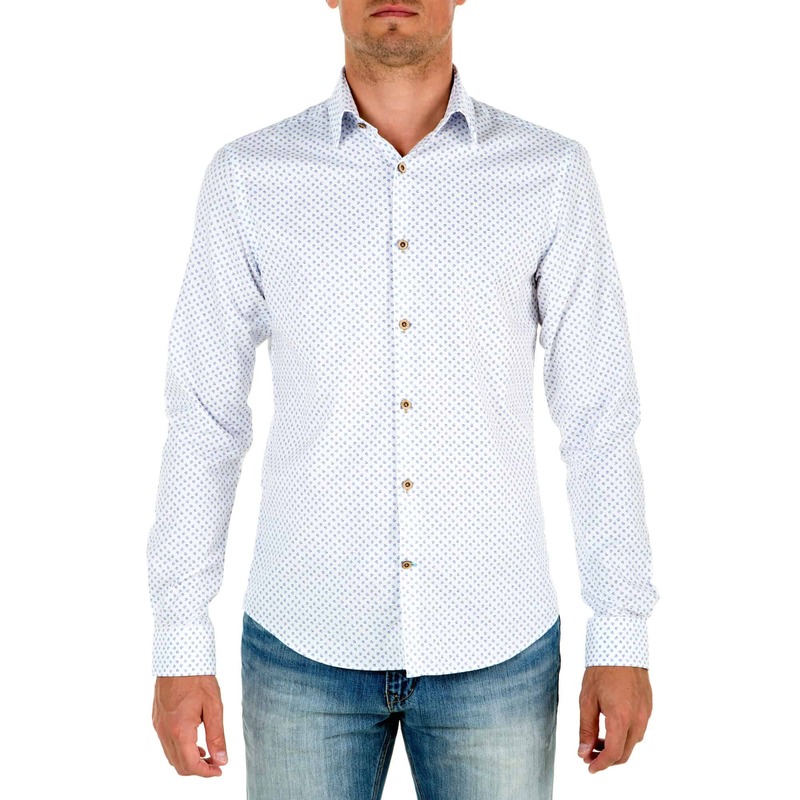 This shirt has a nice leisure look, with printed blue flowers on a white fabric. 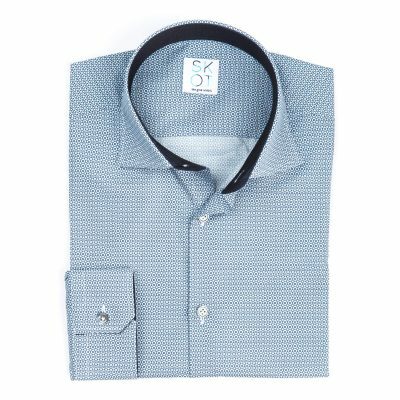 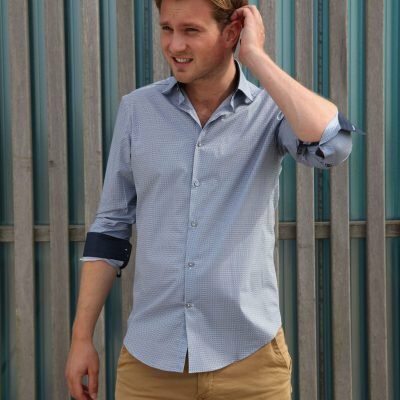 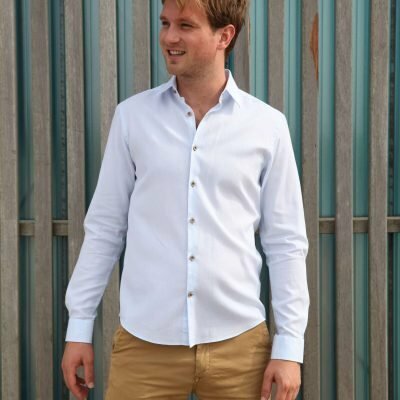 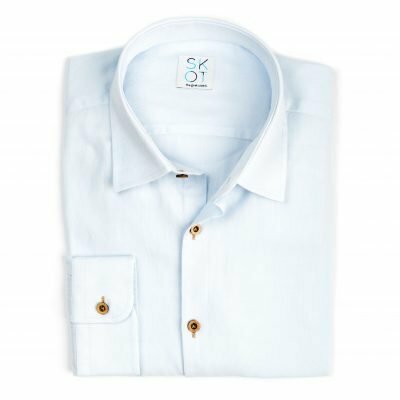 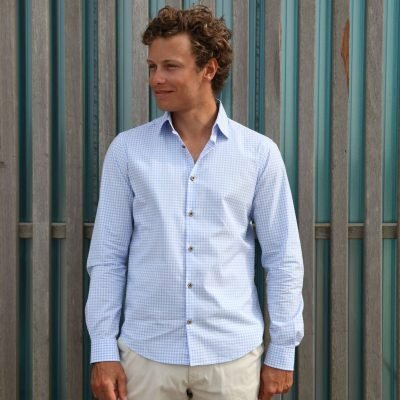 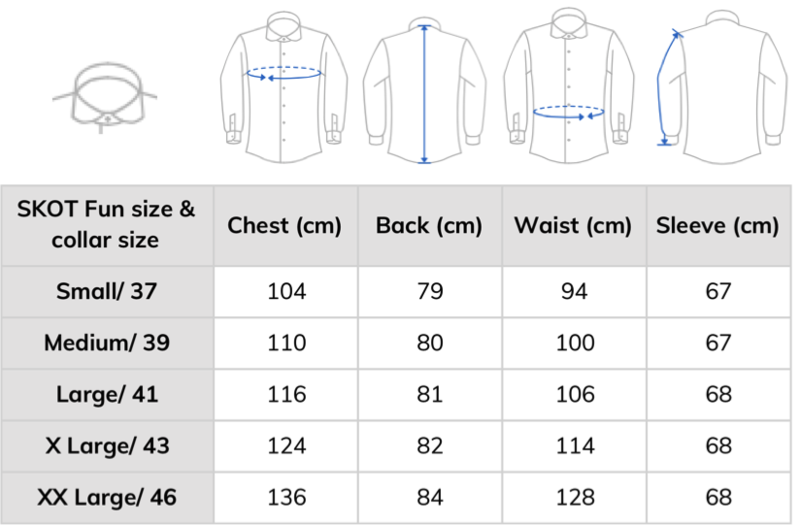 With the brown color of the recycled coconut buttons and the blue contrast in the inside cuff the shirt has great details. 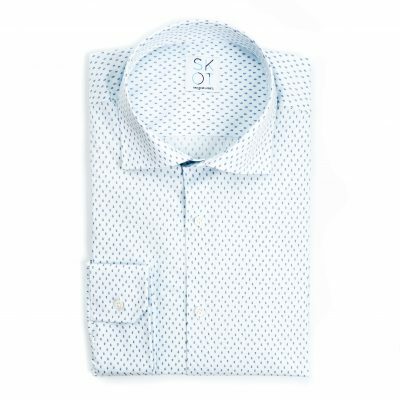 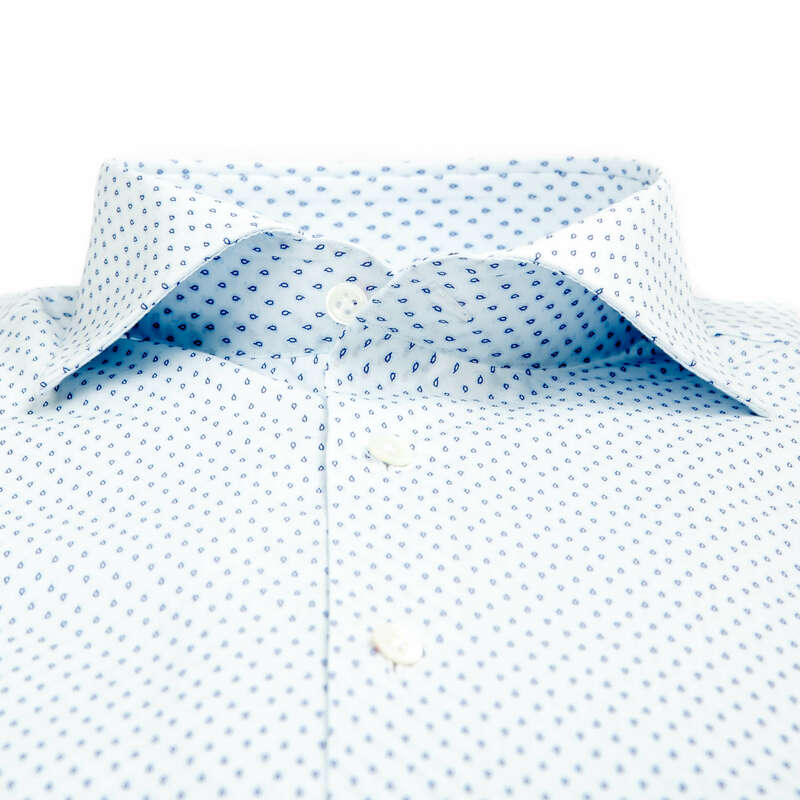 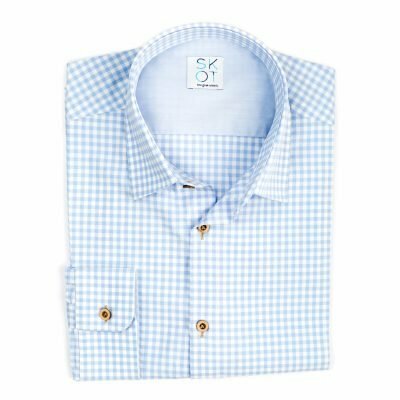 Oxford woven, which makes the shirt feel nice and firm.